Jesse Compher didn’t have a problem stepping into a leadership position during her second season at Boston University. That significant leap also has Compher in the discussion for the prestigious Patty Kazmaier Award, presented annually to the top women’s college hockey player in the nation. Compher finished third on the team as a freshman with nine goals and 26 points in 37 games. Compher, who was named to the Hockey East All-Rookie Team, has stepped up after Boston University graduated Victoria Bach and Rebecca Leslie, two of the top scorers in program history. Compher, a Northbrook, Illinois, native, is the leading scorer at Boston University this season with 13 goals and 41 points in 25 games. That’s also good for a third-place tie in the nation. Compher, whose older brother J.T. played two seasons with USA Hockey’s National Team Development Program and now plays for the Colorado Avalanche, knew she had to make a significant jump during her sophomore season. BU lost in the Beanpot title game last February and in the best-of-three quarterfinals of the Hockey East Tournament against Maine. Compher looks forward to going through the Beanpot and Hockey East Tournament for a second time this season. Compher said that experience carried over into her sophomore season. It has showed this season as Compher was named Hockey East Player of the Month for December. She had more points and assists than any other player in the nation with at least two points in three of five games and a career-best five points at RIT. 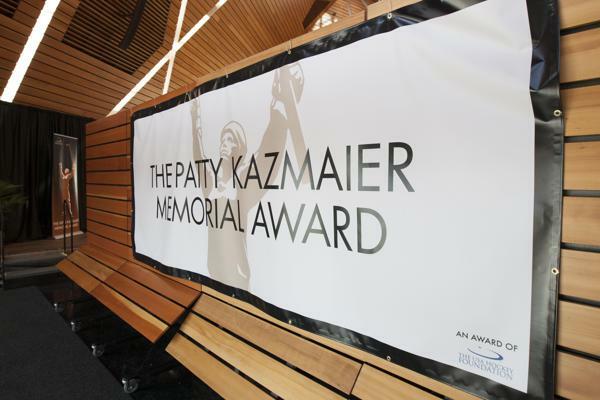 The Patty Kazmaier Award isn’t out of the question either. Several of those players went on to play for the U.S. Women’s National Team. Compher has experience with USA Hockey as a two-time gold medalist with the U.S. Under-18 Team at the IIHF Women’s World Championship. 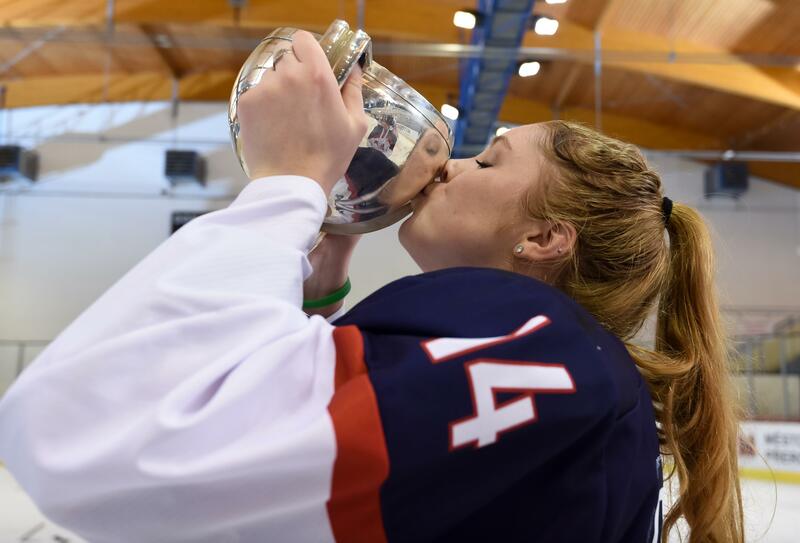 Compher celebrates after helping the U.S. U18 Women's National Team claim gold at the 2017 IIHF U18 Women's World Championship. Compher in December was also invited to the USA Hockey Women’s Winter Training Camp, which featured 19 members of the gold medal-winning 2018 U.S. Olympic Team. Compher also took part in the U.S. Women’s National Team Evaluation Camp in September and skated for the U.S. Under-22 Women’s Select Team during a three-game series against Canada in August. In December, Compher roomed with three-time Olympian Hilary Knight, a leadership experience she brought back to Boston University. Story from Red Line Editorial, Inc. Photo courtesy of Rich Gagnon.